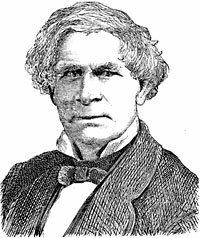 At the beginning of the year 1861, when the New York legislature met, there was interjected into the progress of events a canvass for a successor to Mr. Seward in the Senate. The Republicans had made heavy gains in the State Senate in the elections of 1859, and it had been anticipated that they would hold a majority when the time arrived to fill this vacancy. With even greater confidence it had been expected that Mr. Seward would be nominated for President in 1860, and for that reason he had been regarded as out of the list of candidates. 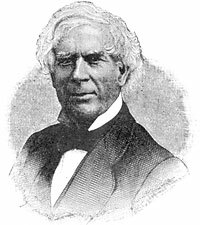 Just after his defeat at Chicago there was a disposition to return Mr. Seward to the Senate, but it was soon believed that he would become a member of the Cabinet, and his name was then dropped. Instead Weed backed New York attorney William A. Evarts for the seat and when Evarts proved unable to win sufficient support in the Republican legislative caucus, Weed switched his support to Ira Harris — rather than risk humiliation by the election of rival Horace Greeley, editor of the New YorkTribune. By early 1863, Weed’s policy differences with the Lincoln Administration in Washington and his declining power to control the Republican Party in Albany contributed to his decision to withdraw — albeit very temporarily — from management and ownership of the Albany Evening Journal. But Weed was too practiced a combatant to withdraw from the political wars and he continued to exchange invective with fellow Republican editor Horace Greeley of the New York Tribune. ‘Amid your great and constant responsibilities I regret that you should have been annoyed by an small grief of mine. ‘It is not, however, pleasant to be misunderstood. I certainly was pained to learn that you regarded my controversy with the N.Y. Tribune as apersonal quarrel with Mr. Greeley, in which both were damaging our cause. ‘I have confided unwaveringly, in your Integrity and Patriotism, from the begining [sic] of this Rebellion, the certainty and magnitude of which I foresaw; and I have earnestly and faithfully laboured to uphold your Administration. I retired from an apprehension that I was doing more harm than good. I could not remain without remonstrance against a Spirit by which you are persecuted, and which I know will end our Union and Government. It is impossible, just now, to resist Fanaticism a Fanaticism which divides the North and deprives you of the support essential, vital indeed, to the Life of the Republic. It constant cry is: “Give! Give!” and the more you give the more it demands. They accuse me of “opposing the Administration.” I answered that falsehood yesterday, and sent Mr [John G.] Nicolay a Paper. I have labored to shield the Administration from their persecution. There is crazy “method” in Greeley’s Abolitionism. He has the Presidency on his Brain. He ran “Maine Law” into the ground” expecting to make himself Governor. His Ambition is mere Lunacy, but, unfortunately, I fear he possesses the power to ruin our Country. If I could be heard by the same, and the same number, of readers, I should hope to open their eyes. This State was ours, in November, by 25,000 majority, with Morgan, and 50,000 with Dix, but he, and his like, would have an Abolition issue for Governor, that they might secure a Legislature in favor of [Horace] Greeley or [David Dudley] Field, for U. S. Senator. Your letter of the 15th. marked “private” was received to-day. I have seen Gov. Morgan and Thurlow Weed, separately, but not together, within the last ten days; but neither of them mentioned the forthcoming message, or said anything, so far as I can remember, which brought the thought of the Message to my mind. I am very glad the elections this autumn have gone favorably, and that I have not, by native depravity, or under evil influences, done anything bad enough to prevent the good result. 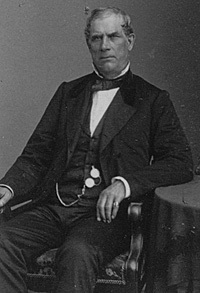 Weed later recalled that at a meeting with Seward and Hughes shortly before their ship sailed, businessman Robert B. Minturn congratulated Seward on Weed’s inclusion in the mission. Seward rejoined: “Mr. Weed goes abroad as a volunteer, and at his own expense.”73 Minturn was astounded and pledged to fund Weed’s expenses himself. Businessman Richard M. Blatchford was also present and he was so shocked he advised Weed not to go. “I realized painfully the perplexities of my position. Between my promise to the Archbishop, the rebuff of the Secretary, and a reasonable degree of self-respect, it was difficult to determine what I ought to do. I did not doubt that when the fact that I was to go abroad in a highly important and confidential capacity became known at Washington, a storm would be raised which would constrain the Secretary to disavow the appointment, as he might do with justice and truth, for, as I have already stated, it was demanded by Archbishop Hughes as the condition upon which he himself consented to go.”74 Weed explained the situation to Blatchford who wrote Seward a strong letter — which produced official credentials for Weed before his ship left to France. Historian Allan Nevins wrote that Weed “did really admirable work for the United States as an informal agent in Britain and France, impressing everybody by his geniality, tact, and statesmanlike vision.”75 While Archbishop Hughes was making the Union case in Catholic countries, Weed went on to England where he made his case plainly — in words and fashion. “For Weed fine clothes had no appeal. He dressed like a farmer or, as he liked to phrase it, with the simplicity of Franklin and Jay. Eighteen years before, when he had visited Europe, Weed complained about the undemocratic court dress affected ministers,” wrote Jay Monaghan, Diplomat in Carpet Slippers.76 On that previous trip, he has also been accompanied by Archbishop Hughes. Among the other missions which Weed claimed to have undertaken was the resignation of Simon Cameron as Secretary of War. “The first suggestion of the change was made to General Cameron by Mr. Weed, at Mr. Lincoln’s request, in a conversation at the General’s breakfast-table, in which the ladies of the household participated. ‘Repairing from the breakfast-room to the library,’ writes Mr. Weed, ‘I presented considerations which seemed likely, in my judgment, to induce General Cameron to go abroad. I informed him that the Secretary of State had received a letter from Cassius M. Clay, offering to resign the Russian Mission. Mr. Cameron finally remarked that his wife and daughter, thinking he was working too hard, had urged him to retire, and that they would be much pleased with a visit to Europe. All things considered, he allowed me to ascertain from the President whether the suggested change could be made. I did not, for obvious reasons, inform General Cameron that I had called on him that morning in pursuance of an understanding with the President the previous evening.”77 The difficulty with this story is that Cameron got into trouble with President Lincoln in December 1861 and resigned in January 1862 — at a time when Weed was already in Europe. Sidney David Brummer, Political History of New York State During the Period of the Civil War, p. 18 (from Diary of Gideon Welles, Atlantic Monthly, April, 1909, p. 482). Thurlow Weed Barnes, editor, Memoir of Thurlow Weed, Volume II, p. 262. Henry B. Stanton, Random Recollections, p. 62. James G. Randall, Lincoln the President, Springfield to Gettysburg, Volume I, p. 147-148. Burton J. Hendrick, Lincoln’s War Cabinet, p. 15-16. Albert Shaw, Abraham Lincoln: The Year of His Election, Volume II, p. 52. Burton J. Hendrick, Lincoln’s War Cabinet, p. 16. Chauncey M. Depew, My Memories of Eighty Years, p. 19. Sidney David Brummer, Political History of New York State During the Period of the Civil War, p. 20. Carl Schurz, The Autobiography of Carl Schurz (Abridged), p. 158. Gideon Welles, “Letters of Gideon Welles”, The Magazine of History, Vol. 27, No. 1, . Jay Monaghan, Diplomat in Carpet Slippers, p. 18. Donn Piatt, Memories of the Men Who Saved the Union, p. 152. Horace Greeley, Recollections of a Busy Life, p. 312. Donn Piatt, Memories of the Men Who Saved the Union, p. 150-151. Thurlow Weed Barnes, editor, Memoir of Thurlow Weed, Volume I, p. 270 (Letter from William H. Seward to Thurlow Weed, May 18, 1860). Donn Piatt, Memories of the Men Who Saved the Union, p. 153-154. Thurlow Weed Barnes, editor, Memoir of Thurlow Weed, Volume I, p. 271. Gideon Welles, “Letters of Gideon Welles”, The Magazine of History, Vol. 27, No. 1, p. 27. Thurlow Weed Barnes, editor, Memoir of Thurlow Weed, Volume II, p. 295 (Leonard Swett’s comments originally in letter to the editor of theChicago Tribune, July 13, 1880). Sidney David Brummer, Political History of New York State During the Period of the Civil War, p. 22. 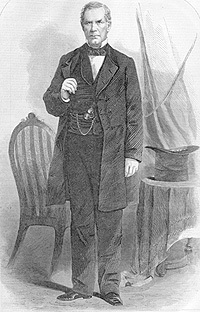 Sidney David Brummer, Political History of New York State During the Period of the Civil War, p. 443. Gideon Welles, Diary of Gideon Welles, Volume II, p. 105 (August 13, 1864). Don C. Seitz, Horace Greeley: Founder of the New York Tribune, p. 27. Thurlow Weed Barnes, editor, Memoir of Thurlow Weed, Volume II, p. 237. Thurlow Weed Barnes, editor, Memoir of Thurlow Weed, Volume II, p. 238. Chester L. Barrows, William M. Evarts: Lawyer, Diplomat, Statesman, p. 89. James G. Randall, Lincoln the President, Springfield to Gettysburg, Volume I, p. 260. Glyndon Van Deusen, Thurlow Weed: Wizard of the Lobby, p. 259. Thurlow Weed Barnes, editor, Memoir of Thurlow Weed, Volume I, p. 605. Thurlow Weed Barnes, editor, Memoir of Thurlow Weed, Volume I, p. 611-612. John Niven, Gideon Welles: Lincoln’s Secretary of the Navy, p. 315. Gideon Welles, “Letters of Gideon Welles”, The Magazine of History, Vol. 27, No. 1, p. 26. Glyndon Van Deusen, Thurlow Weed: Wizard of the Lobby, p. 261 (Albany Evening Journal, December 24, 1860). John Niven, Gideon Welles: Lincoln’s Secretary of the Navy, p. 316. Thurlow Weed Barnes, editor, Memoir of Thurlow Weed, Volume II, p. 308. Thurlow Weed Barnes, editor, Memoir of Thurlow Weed, Volume II, p. 309 (Letter of William H. Seward to Thurlow Weed, December 3, 1860). Thurlow Weed Barnes, editor, Memoir of Thurlow Weed, Volume II, p. 316-317. Thurlow Weed Barnes, editor, Memoir of Thurlow Weed, Volume II, p. 307 (Letter of Thurlow Weed to Preston King, December 10, 1860). Thurlow Weed Barnes, editor, Memoir of Thurlow Weed, Volume II, p. 320. Thurlow Weed Barnes, editor, Memoir of Thurlow Weed, Volume II, p. 322. Thurlow Weed Barnes, editor, Memoir of Thurlow Weed, Volume II, p. 338. Carl Sandburg, Abraham Lincoln: The War Years, Volume II, p. 32. Sidney David Brummer, Political History of New York State During the Period of the Civil War, p. 293-294. Glyndon Van Deusen, Thurlow Weed: Wizard of the Lobby, p. 283. Glyndon Van Deusen, Thurlow Weed: Wizard of the Lobby, p. 287. John Niven, Gideon Welles: Lincoln’s Secretary of the Navy, p. 449. Roy P. Basler, editor, The Collected Works of Abraham Lincoln, Volume VI, p. 513-514 (Letter from Abraham Lincoln to Thurlow Weed, October 14, 1863). Roy P. Basler, editor, The Collected Works of Abraham Lincoln, Volume VI, p. 513-514 (Letter from Thurlow Weed to Abraham Lincoln, October 14, 1863). Gideon Welles, Diary of Gideon Welles, Volume I, p. 230 (January 28, 1863). Gideon Welles, Diary of Gideon Welles, Volume I, p. 231 (January 28, 1863). Charles Sumner, The Selected Letters of Charles Sumner, Volume II, p. 186 (Letter from Charles Sumner to Abraham Lincoln, August 7, 1863). William Hesseltine, Lincoln’s War Cabinet, . Roy P. Basler, editor, The Collected Works of Abraham Lincoln, Volume VII, p. 24 (Letter from Zachariah Chandler to Abraham Lincoln, November 15. 1863). Roy P. Basler, editor, The Collected Works of Abraham Lincoln, Volume VII, p. 23-24 (Letter from Abraham Lincoln to Zachariah Chandler, November 20. 1863). Abraham Lincoln Papers at the Library of Congress. Transcribed and Annotated by the Lincoln Studies Center, Knox College. Galesburg, Illinois. (Letter from Abraham Lincoln to Thurlow Weed, January 29, 1863). Abraham Lincoln Papers at the Library of Congress. Transcribed and Annotated by the Lincoln Studies Center, Knox College. Galesburg, Illinois. (Letter from Thurlow Weed to Abraham Lincoln, February 1, 1863). Justin G. Turner and Linda Levitt Turner, editor, Mary Todd Lincoln: Her Life and Letters, p. 181 (Letter from Mary Todd Lincoln to Abram Wakeman, September 23, 1864). 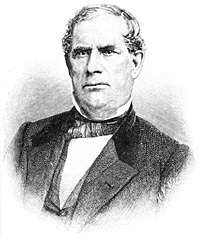 Sidney David Brummer, Political History of New York State During the Period of the Civil War, p. 390-391. Roy P. Basler, editor, The Collected Works of Abraham Lincoln, Volume VII, p. 268 (March 25, 1864). William Frank Zornow, Lincoln & the Party Divided, p. 41-42. Ernest A. McKay, The Civil War and New York City, p. 247. Abraham Lincoln Papers at the Library of Congress. Transcribed and Annotated by the Lincoln Studies Center, Knox College. Galesburg, Illinois. (Letter from Ira Harris to Abraham Lincoln, August 15, 1864). Michael Burlingame, editor, With Lincoln in the White House: Letters, Memoranda, and Other Writings of John G. Nicolay, 1860-1865, p. 160 (Letter to President Lincoln, Sept. 22, 1864). Gideon Welles, Diary of Gideon Welles, Volume II, p. 155 (September 22, 1864). Thurlow Weed Barnes, editor, Memoir of Thurlow Weed, Volume I, p. 615-616. Thurlow Weed Barnes, editor, Memoir of Thurlow Weed, Volume I, p. 616-617. Thurlow Weed Barnes, editor, Memoir of Thurlow Weed, Volume I, p. 618. Thurlow Weed Barnes, editor, Memoir of Thurlow Weed, Volume I, p. 636. Glyndon Van Deusen, William Henry Seward, p. 307. Thurlow Weed Barnes, editor, Memoir of Thurlow Weed, Volume I, p. 638. Allan Nevins, The War for the Union: War Becomes Revolution, 1862-1863, p. 262. Jay Monaghan, Diplomat in Carpet Slippers, p. 157-158. Thurlow Weed Barnes, editor, Memoir of Thurlow Weed, Volume II, p. 330-331. Don E. Fehrenbacher and Virginia E. Fehrenbacher, editor, The Recollected Words of Abraham Lincoln, p. 463 (from Albany Atlas and Argus, April 16, 1864). Thurlow Weed Barnes, editor, Memoir of Thurlow Weed, Volume II, p. 484-485. Roy P. Basler, editor, The Collected Works of Abraham Lincoln, Volume VIII, p. 356 (Letter to Thurlow Weed, March 15, 1865).